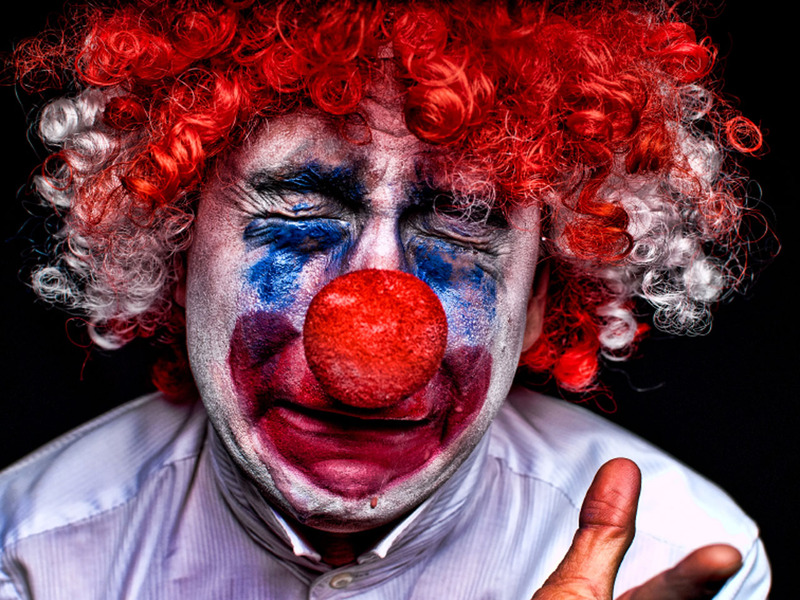 There’s a serious issue looming for children’s parties and circuses -- a clown shortage that threatens to make the red-nosed buffoons an endangered species. The largest U.S. trade group for clowns, the World Clown Association, tells the New York Daily News that its membership has plunged by almost one-third, hitting 2,500 members, down from 3,500 a decade ago. Most of the group’s members are over 40, and many older clowns are passing away, the organization said. Clowning has some major image issues to deal with, thanks to Stephen King’s “It” and serial killer John Wayne Gacy, who performed as “Pogo” the clown. And then there’s the pay. While top performers at Cirque du Soleil can earn as much as $200,000, a typical clown may be pulling in as little as $15 an hour at children’s parties. Working from gig to gig might not appeal to 20-somethings who also have college loans to pay off, although street performing and other gigs can end up being fairly lucrative. There’s not much data available on clown salaries, with Glassdoor offering one data point for for a Ringling Bros. and Barnum & Bailey clown. The range was $85,000 to $92,000. Rodeo clowns, a subset of jokesters who distract bulls so riders can get away from them, earn about $51,000 a year. The World Clown Association and Feld Entertainment, the production company that operates the Ringling Bros. and Barnum & Bailey Circus, didn’t immediately return emails seeking comment. But there’s also a major shift within the clowning industry. Once, clowns were clearly identified by their frizzy, colorful wigs and face makeup, but many of today’s best known (and top earning) clowns eschew the loud get-ups in favor of more tastefully silly touches. The punchline is that the clowning industry has raised the bar, which makes for more interesting performances, but also means that employers have higher standards, the Daily News notes.